1. Use Code (does not require information about a Como account; just allows the customer to redeem a code). 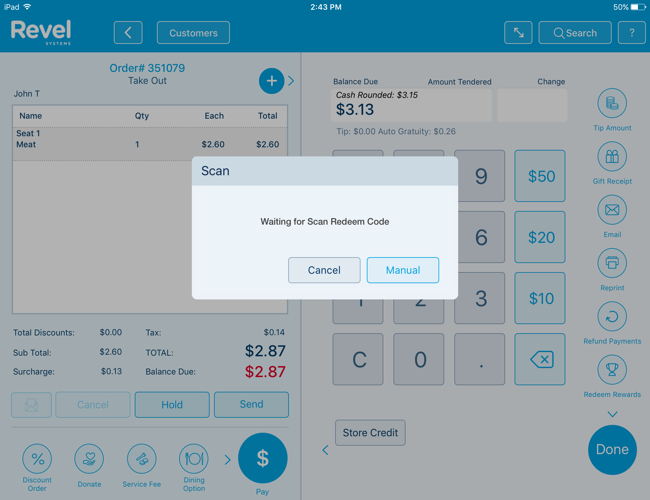 The customer may scan a QR code or manually enter it in. This code is then applied to the order.